This client wanted to get rid of the rear staircase that was left over from construction on their home. 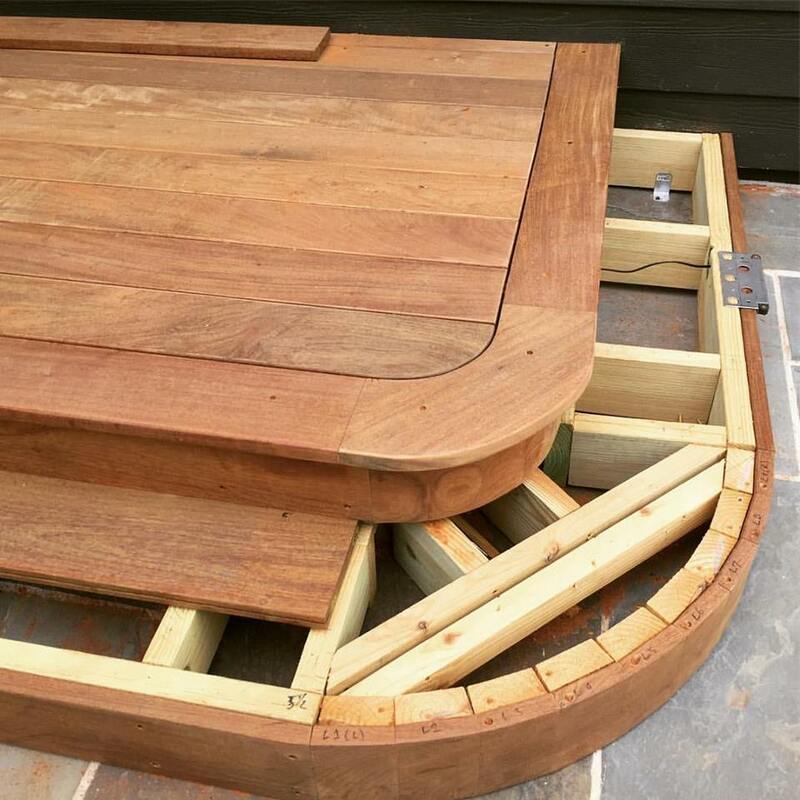 I worked with them on developing a design for a small ipe deck to provide a landing area outside their doors. The main framing is installed. The open framing at the corners is where the steps will curve around. 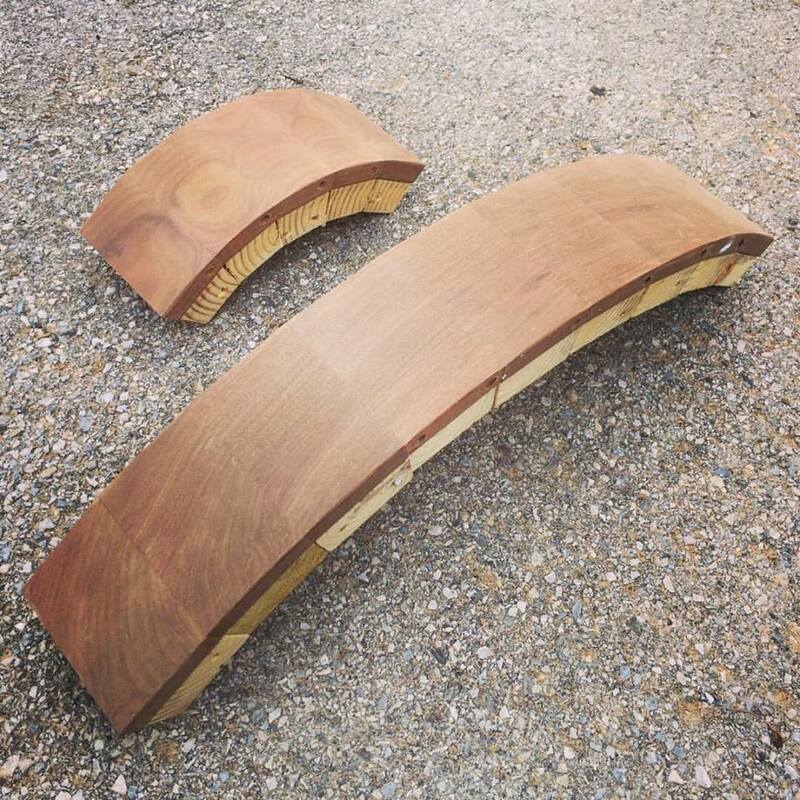 These are the curved risers for the stairs that I made for the deck out of ipe and pressure treated framing lumber. Here, the risers and necessary framing have been installed, and I'm starting to install the decking. The upper stair tread also serves as a border for the main area of decking. The finished product with post wraps and railings installed.